When you’re experiencing a life-threatening condition, such as chest pains, a head injury or severe bleeding, the Emergency Department at Saint Francis Medical Center is your best option for medical care. However, if your situation is non-life-threating, such as a sprained ankle or a sore throat, you could save time and money by going to your primary care physician or an urgent care center. Emergency departments are often filled with people whose problems could be handled in an urgent care center. The National Hospital Ambulatory Medical Survey estimates that one-third to one-half of all emergency room visits are for nonurgent care. This puts emergency departments under tremendous strain and limits their ability to quickly attend to real medical emergencies. 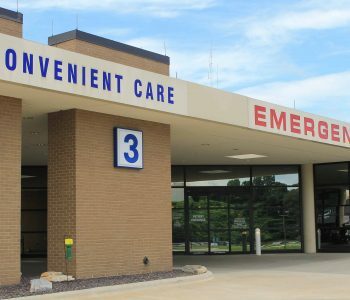 Since Saint Francis Medical Center’s Emergency and Trauma Center is the only state-designated Level III Emergency and Trauma Center in southeast Missouri, it is important to know the type of medical attention that is needed. Choosing an urgent care facility could save you time and money and keep the emergency departments free to handle more serious situations. Saint Francis has four locations to offer better convenient care to our employees, their families and our service region. Urgent care centers are a good choice when you need medical care quickly, but cannot see your primary care physician. They typically are freestanding, walk-in medical facilities that provide care on a nonappointment basis and are often open for extended hours, including nights and weekends. Urgent care centers are a cost-effective alternative to emergency department for the treatment of non-life-threating conditions. Staffed by physicians, nurse practitioners and fully trained assistants, most urgent cares provide basic lab work, diagnostic tests and imaging, and dispense medications. They are not equipped, however, to handle major traumas or conditions. Emergency departments are necessary when someone is suffering from a life- or limb-threating medical condition, severe abdominal pain, or symptoms of a heart attack or stroke and trauma. They are open 24/7 year-round. Emergency departments specialize in managing catastrophic illnesses and injuries, and serve as the gateway to a hospital’s full range of services. If your condition is non-life-threatening, you could wait longer in an emergency department than at an urgent care center because emergency rooms treat patients with the most serious conditions first. See a complete list of Immediate Convenient Care/Urgent Care locations and hours HERE.